It's weird now to look back on myself twelve years ago, when The Lord of the Rings movies were just starting to come out, and I attacked them with all of the glee a sheltered thirteen year old could muster for the only fandom she's yet been obsessed with in her life. That is, in case you were wondering, a lot of glee. I saw The Fellowship of the Ring seven times in theaters. This is impressive not just because it's a three hour movie and holy crap is that a lot of my life, but also because I was thirteen, and therefore couldn't drive, and the nearest reputable movie theater to my home town is half an hour away. Also, I was thirteen, and didn't have a steady income yet. So maybe the award should go to my parents and friends and friends' parents who all humored me and took me to see the movie and sat through my recitations of its wonders again and again and again. Thanks guys. You're all champs. It's not weird to me that I was so into the movies. I was crazy into the books (they were the staple of my childhood), and it only seems reasonable that a movie adaptation, especially one as flawless as those films, would grab me by the soul and not let go. That's not the surprising bit. What's weird is how un-psychotically excited I feel about The Hobbit movies. Seriously. I went to the midnight premiers for those LOTR films. I sat through every single extended edition until I could determine exactly what had been added. I have watched literally every special feature, listened to every single commentary (extended and non), and learned how to make lembas. I'm not saying this so that you grasp the full depth of my nerdery. I figure you've already got a pretty good picture of that considering that you're on my nerd website reading my nerd articles. (Hello!) What I'm trying to get at here is that the LOTR movies meant a lot to me. They still do. They shaped a lot of who I am, inspired me to spend more time paying attention to pop culture, and honestly changed my life. The Hobbit, on the other hand, is okay. Just okay. Look, The Hobbit was never as much of a big deal to me as a kid, so maybe it's not all that surprising that I'm no obsessed with the films, but it really doesn't feel like there's much there. It's sweet, and funny, and clever at times, with lots of chases and puzzles and silly dwarves and all that. But it's not big. I like stories that are big. 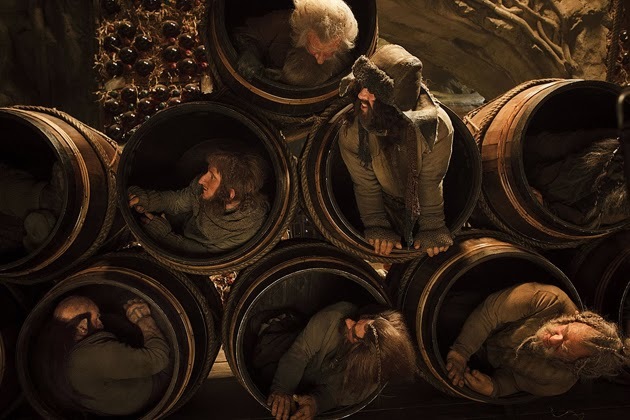 Now, to their credit, Peter Jackson and company have done a good job adding scope to The Hobbit movies, so that they don't just exist in this weird, tonally different netherworld from the other films, but that can only do so much when the plot of the story is so...simple. Again, that's not a diss on the films or the book itself. It's a good book, albeit a very different one, and they're well made movies. But they're not my movies, you know? It turns out that you can't really go back again. And for me, it seems like my time of mindlessly enjoying these movies has passed. However. 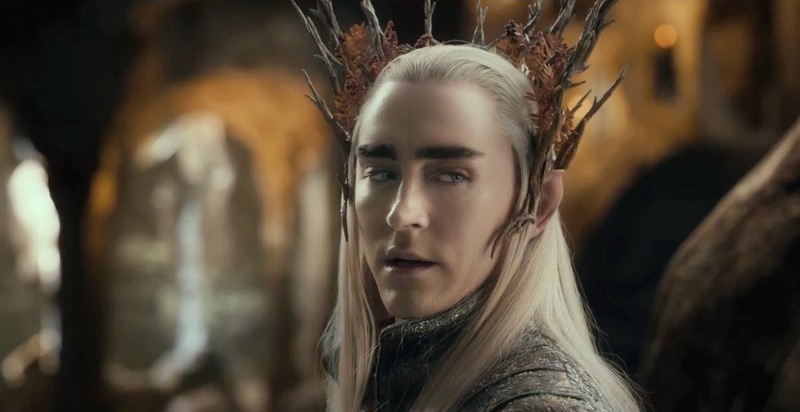 None of that is to say that I have not seen The Hobbit: Desolation of Smaug, or that I didn't like it. I do like it. It's fun, arguably better than the first movie, and quite enjoyable to watch. I like most of the changes they made to the story, and for the most part, I'm a fan of the way they've woven in the backstory of Middle Earth. I did think it was a solid hour too long, weighted down by an idea that they have to show everything and that no scenes can be cut down. But that didn't make it bad. Tauriel. I know some people are complaining about her addition, but I'm going to be completely honest, I don't care. I don't care why you don't like her, because I would like to say that those reasons are probably terrible. Tauriel is great. More than that, though, this is a case where the filmmakers looked at the movie and went, "Yeah, this is way too male. We need another girl in here. Can we get another girl in here? Great." Now, admittedly, I don't love that her story was largely reduced to being a love triangle. Evangeline Lilly herself has been very outspoken about how much the love triangling of Tauriel bothers her, and I have to say that I agree. She would have been a much more interesting character if she hadn't been defined by her male relationships. I mean, here we have a bunch of things about elves we almost never get to see, all wrapped into one neat little package! She's a member of the guard, so she's military and trained. She's lower class, a Sindarin elf as opposed to one of the higher class Quenya elves (bloodlines, languages, all that stuff - Tolkien is thorough). We've never actually had an elven character who wasn't high class, and here's a wonderful one. Particularly cool? She's aware of her class status and bothered by it. Yay! Oh, and she's willing to challenge authority she finds unjust, which is also something we've not really ever seen an elf do. Basically, Tauriel makes the elves more believable because she isn't just like all the other elves we've seen before. She's cool, and interesting, and way more than "just" a love interest. Which doesn't mean that I didn't think her romance with Kili was adorable. It was. Hella adorable. Bard and his family. In the book, Bard isn't really much of a character. He's there, sure, but he's not super interesting, and he's definitely not developed. And that's fine. He's not a bit part of the story, so we aren't really missing anything major. But here, he is developed, and the story is much richer for it. 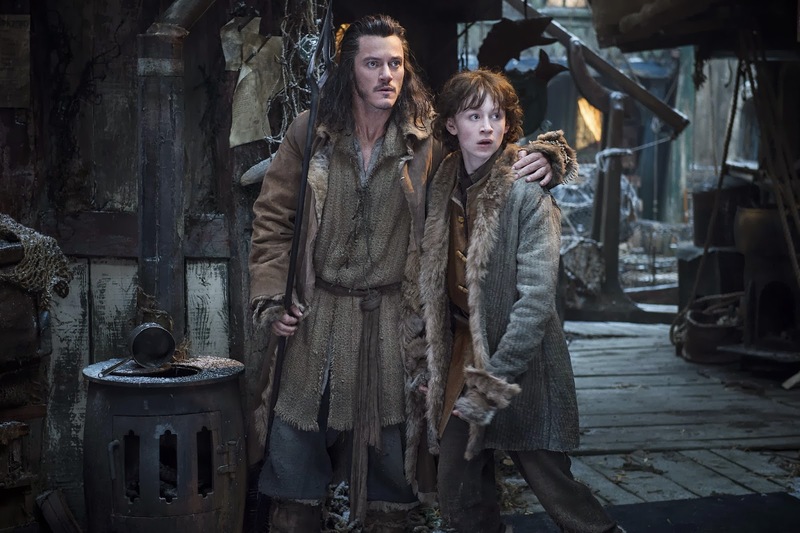 Instead of Bard being pretty much this random bargeman and then shooting the arrow that takes down Smaug but otherwise being out of the story, now Bard has a legitimate reason to be deeply emotionally invested in the story. He has his family's honor at stake, and more than that, their physical well-being. That he eventually becomes something of an antagonist towards the dwarves (and is proven right), only further serves to make him an interesting character. The deeper they go here, the better it is, and that's always a plus. The Necromancer. While these scenes usually feel like they take twice as long as they should, I do appreciate that this film is trying to set up Sauron's return. I like that we get some context here, an understanding of who Sauron is as a villain and what his influence does. I mean, he's perfectly terrifying in the LOTR movies without him ever needing a motivation or explanation, but as with most things here, backstory can't hurt. 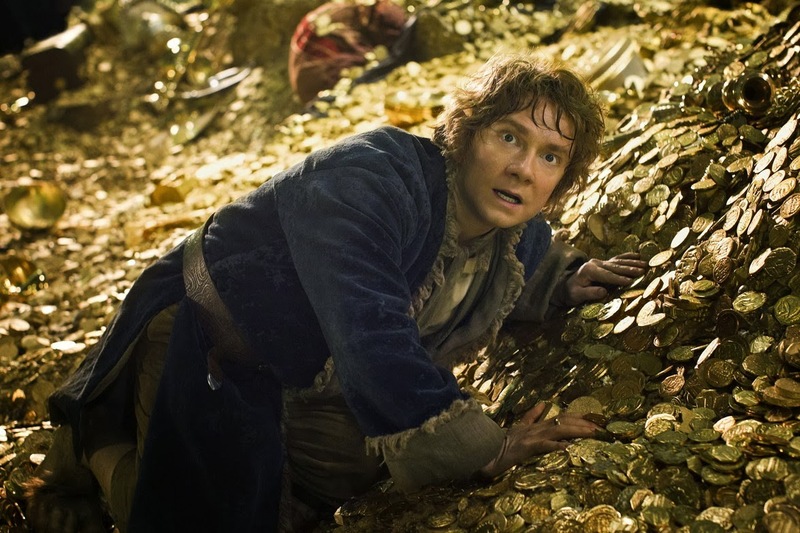 Ultimately, Desolation of Smaug is a good movie probably because it strays from the book, rather than instead of it. All of the really compelling scenes, like with Thranduil warning Tauriel away from Legolas, or when Bard takes the dwarves back in, or when they're all trying to save Kili - those are the moments that really grab you. 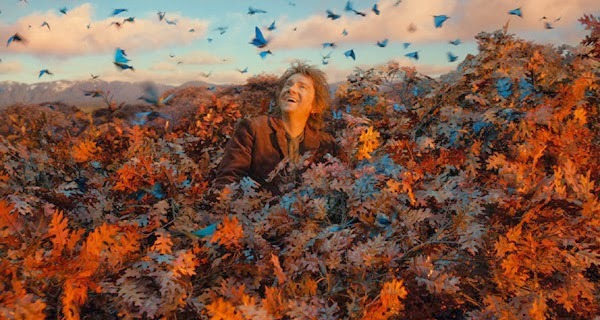 The other stuff, with Bilbo and the main company and Smaug, it's fine, but it's not emotionally involving, I guess. I think part of the genius here is remembering that treasure itself is not a strong motivation. Power is a good motivation, but a better one is what that power can do. We care about characters, so understanding these people in the context of their world and the adventure is naturally going to be more affecting than seeing them flit past as we continue on with the main plot. 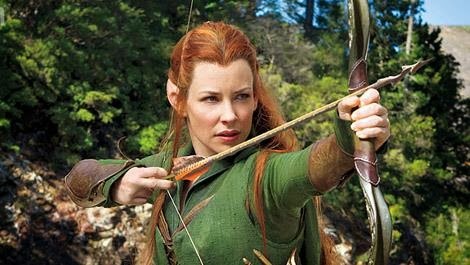 And, either way, I'm totally in favor of having more badass lady elves in Middle Earth. I think you mean Bard, possibly, rather than Beorn? Beorn is the bear-man from the beginning. Awww crap. Thanks for pointing it out. Much more so than anything she had with Legolas. Plus it was nice to see an elf simply decide it was right to help the dwarves - and someone outside the tier of Gandalf and Galadriel who recognises that the divisions between the peoples need bridging. Speaking of which, it was also great to have a very physical female elf as a contrast to the ethereal (awesome, but ethereal) Galadriel. So yeah, she's a terrific addition to the story. I think Tauriel is the only non-royal elf we've really gotten to know, and the only non-royal woman we've gotten to know at all. Which is both sad, and also awesome. I like her a lot. Wait, there was a theater in Gloucester? Well, there's a dinky one in Gloucester, and an art house cinema in the summer in Rockport. Actually, these days there's a pretty nice art house one in Gloucester too. But pretty much the only decent option is to go down to Liberty Tree.